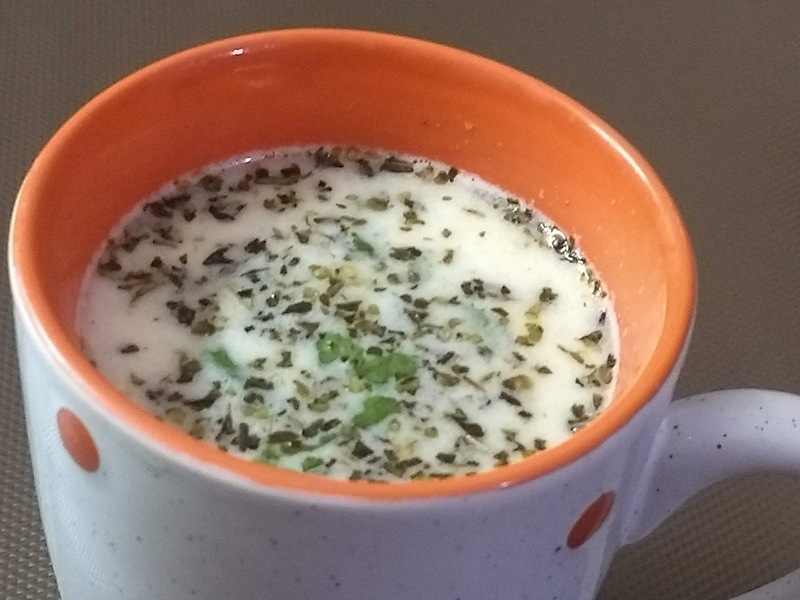 Homemade soups | घर पर सूप कैसे बनायें? Every sip of warm and healthy vegetable soup is a divine experience during cold winter days. The simple yet flavorful soup recipe is not just easy to follow but also customization to bring in your favourite taste with selected veggies. But it also depending on how many veggies you use and how chunky you cut them. It's the easiest way to warm up your kitchen on a cold day and feed yourself and your family in one delicious and healthy bowl. 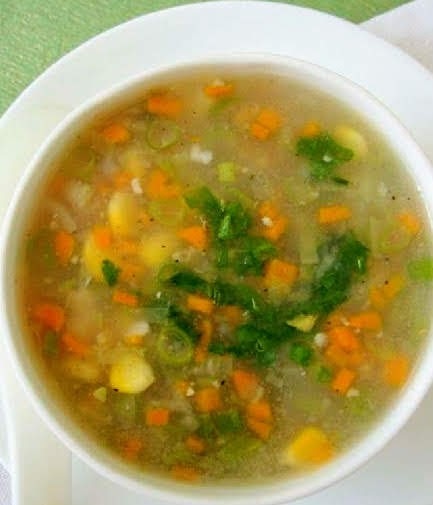 A soup is an appetizing and easily digestible preparation made from a variety of foods and generally served as the first course in a main meal. It may be served hot or cold. Soup can be classified as a thin or thick soup. The nutritive value of a soup depends on the ingredients used. Clear/thin soups are of value only to stimulate the appetite at the beginning of a meal,while thick/ cream soups are nourishing as well as appetizing.Thin soups have a very low calorie value as compared to thick soups. Mix the vegetable puree and white sauce only at the time of serving. Both the puree and white sauce should be hot at the time of mixing. Gradually pour the puree into the white sauce. If tomatoes are very sour, a bit of sugar may be added to the puree. Do not heat after the puree has been mixed with the white sauce. The soup should have a natural pleasing colour. The soup should be mild flavoured and not have very strong flavours. Garnishes eg, croutons, grated cheese, butter, cream, saute mushrooms, onion rings,chopped mint and diced vegetables help to make a soup appear more attractive as well as more nutritious and tasty. 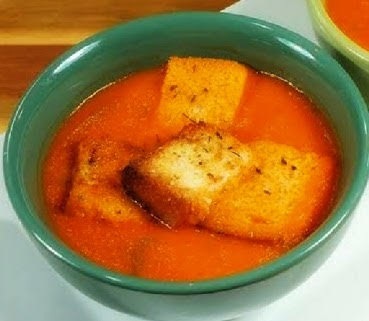 Accompaniments to a soup are crisp bread sticks, thin toasted bread,dinner rolls etc. Soup powders and cubes are easily available in the market. Cook as per instructions on pack.Boiled noodles,steamed vegetables like carrots, peas and sauteed mushrooms may be added. Cook as per instructions on pack. Add steamed or sauteed vegetables like beans, peas, capsicum, cabbage to it. Chopped Tomato, Onion and Carrot and put into the sauce pan/kadai/heavy bottom pan along with water or stock. Bring to a boil. Simmer for another 15-20 minutes on a low heat. Remove the whole spices. After cool down, mix all this into a blender. Heat again and bring to a boil. Put chopped coriander leaves and small cube of butter. You can also add croutons. To make croutons cut bread into cubes and either you deep fried or baked into OTG at 160 degree for 8 to 10 minutes or you can also dry roast bread cubes into heavy bottom pan. You can make more healthy and testy soup by adding seasonal vegetables like corn(boiled), peas(boiled), mushroom(saute), broccoli(boiled). You can also add boiled noodles. I will share other soup recipes in my upcoming blogs.